Discussion in 'Match Day' started by Smudger, Feb 3, 2019. What will the score be ? After the exhilaration of watching some of the best attacking football played at Vicarage Road and on the road earlier in the season the last two weeks have seen a return to the rather plodding performances that characterized the painful end to last season where the team looked to have booked their holidays well in advance of the summer break. Part of this is down to the lack of the midfield dynamism of Abdoulaye Doucoure despite what for him has been a season that has been underwhelming compared to last. But if one looks deeper then the last two games have had the same glaring issues apparent throughout the season even in the opening stages where we roared out of the blocks with four straight wins. Issue one is the lack of control in midfield. 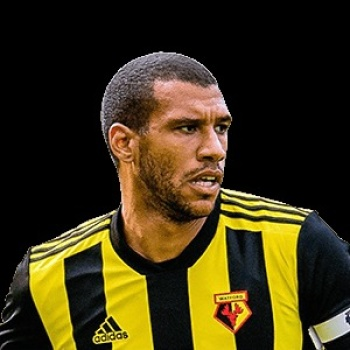 The last two matches have seen the midfield duo of Capoue and Cleverley who is still off the pace overwhelmed and unable to provide any quality service upfront. Both have been forced very deep isolating Deeney and Deulofeu. In doing so the team has resorted to the long ball downfield which with the exception of those two has been sat so deep that it is unable to pick up any secondary balls resulting in continual pressure on the defence. Not to mention being able to create any semblance of a decent counter attack when the opportunity presents itself. The team as a whole has fluffed their lines several times in recent games with mind boggling decisions when they have been on the break, Deulofeu running into a blind alley, Doucoure shooting and managing to screw up a three on one to cap it all. It is a far cry from when the team was pressing high as a unit forcing errors and controlling possession. Sema and Hughes and indeed Pereyra have been unable to get into the areas along with the fullbacks to provide local numerical superiority overloading the opposition and providing options for the ball carrier. Things which we did to great effect in the seasons two best performances against Wolverhampton Wanderers and Cardiff. There is also a lack of movement off the ball and slowness of decision making which is caused by not having options in front and around because the team has sat so deep. It also prevents players like Cleverley and Capoue from getting into danger areas around the box, crosses which come from angles that make it easier to defend (indeed Sema provided the only cross to come anywhere near from the byeline yesterday). And when there are crosses into the box you will be lucky to see more than two Watford players in the area making it easier to defend and win the ball. Gracia needs to make the changes that allow the midfield to control the ball and ask the team to push up the pitch and be brave enough to play two upfront. Two genuine strikers not Deulofeu. 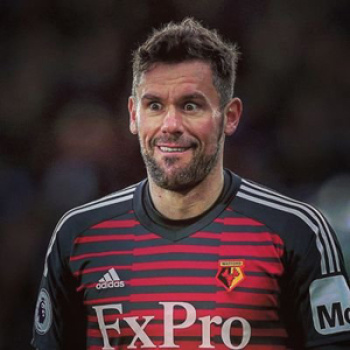 The only time we looked remotely threatening yesterday was when Deeney had someone to play off. It is extraordinarily hard for nay striker to play alone and keep the ball long enough when the rest of the team is so far away from them. I cannot understand why Javi does not have the flexibility to play a 4-5-1 or 3-5-2 to saturate the midfield which was our strength early in the season and allowed us to control most matches. The 3-5-2 was used well by Wolverhampton yesterday to control the midfield and overload the flanks of an Everton defence which was already and has been all at sea all season. We all of course would dearly love to beat the persona non grata but Javi needs to make changes in formation given the injury list and be more proactive in his decision making. The last two matches have been shambolic relying on Foster (in far better form than Pratford) and the defence to try and keep a clean sheet without offering any threat at all. Moving on to the opposition. They are in a terrible run of form but how often have we gifted points to such teams this season. It would be especially galling for this match. It was bad enough them getting an injury time equalizer last time around but since then their form has plummeted. It looks like a team with little organization in attack and defence and one that is filled by players that lack confidence in themselves and the manager. It makes their summer spending over eighty million pounds highly questionable and no doubt why the ownership refused the persona non grata (which he will likely become at Goodison before long as well) any more funds. Of those three signings Digne has been the most consistent and will be a unwelcome return to their team for the match. Mina has hardly settled and the snakes son has been inconsistent not helped by the lack of quality service. He has however definitely improved as a striker with his movement and accuracy and will have a point to prove (as I hope Gerard will). It is also amazing how Walcott continually gets a game ahead of Lookman. Let's hope this is the case for Saturday. Another defeat for persona non grata would surely hasten his departure from these shores. Like his mentor Mourinho he is inflexible. He has played the same style of football at every team he has managed. Unable to defend using the basics and with a paper soft core in midfield. And unlike Moaninho unable to cover those deficiencies with huge spending. Yes his teams do play neat passing football at times but often with little end product. Fingers crossed Javi is man enough and wise enough to change formation and make sure we get an iron grip in midfield. Gomes, Davies and Sigurdsson especially the former two should scare no one. And it would be nice if Abu Dhabi United could demoralize the opposition further this coming Wednesday. Levon, BigRossLittleRoss, Ybotcoombes and 15 others like this. Liked for many reasons,not least the picture and "snake's son". I shall be attending as the snake from 'Jungle Book',the one with the swirly eyes. I'm leaving now as I estimate it will take me six days to slither to WD18 from WGC. Someone feed the animals for me please. kVA and SkylaRose like this. BRILLIANT write up smudge. Nice account and honesty that i think we all feel over the past two games. Love the imagary too. Well the big one is here. The back stabbing snake returns to the hornets nest on Saturday and he is bound to be greeted by a chorous of boos and heckles from what will most likely be a sold out Vic. As for lineups id say please change the formation and start Quinna. Maybe stick with Gray Deeney as they can play together quite well. 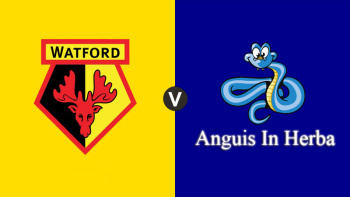 Obvs no Decoure' so Capoue, Hughes, Quinna and Delafoo. I would drop Pereyera for this one, he isnt himself at the moment. Defence Holebas Cathcart Kiko? and Mapps. Foster inbetween the sticks. Formation is key here, we cannot flood the midfield like Wolves did, so some balance has to be found. Get the first goal to worry them then dont sit back as we did at Spuds ansd more or less the whole game at Brighton. 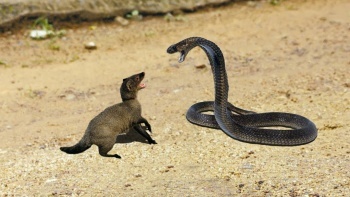 Lets skin the snake and mame his P45 closer. What if we are successful? Thrash Everton, Snake gets the heave-ho and then what? How can we swing it so the glistering rivalry continues? Ybotcoombes, Beekayess, Ray Knight and 2 others like this. nornironhorn, The PozzMan, PowerJugs and 4 others like this. Everyone's home support is generally pretty crap. Plus there'll be at least 1000 people applauding "Ssssssilva" and saying things like, "Oh look Maureen, isn't it nice to see that Oscar Garcia back in the English game after his heart scare a few years ago?" Maybe they've got the right approach to football. Why shouldn't we kid ourselves? This is football. Anyway, we'll look to you to take the lead. Is Maureen being addressed by someone called Wilfred? Wasn’t the pilot of George & Mildred called Wilfred & Maureen? Depends if he's still banned I guess. We have been lacklustre the past two games with Cleverly offering little ball carrying abilities. That being said it has not been too bad. I believe without Son we would have got at least a point from Spurs and we played against a resolute Brighton team at the Amex who had just been humiliated by Fulham the game previously. We are playing central midfielders on the wing as we have no real alternative. On to Everton, we know how what to expect from them. Slow build up play and zonal defending. And excuses lots and lots of mumbled excuses. The Derby looks as though it was their version of us at Stamford Bridge. The way to stop Everton appears to be pressing Andre Gomes at every opportunity which will cut off the midfield supply line. This isolates their forwards and puts them on the back foot. I'd stick Ken or Hughes on the right as they put a shift in defensively and will hopefully track Digne when he makes his lung busting runs. Hopefully Gueye is still sulking after not being allowed to move. I am sure Javi has a few set piece tricks up his sleeve which should hopefully work in our favour. I can see the crowd being fired up for this one which can only ever help us and hopefully get them on aide for the rest of the season. As you can see from the above, it's the hope that kills you. PowerJugs and SkylaRose like this. Digne's suspended I think- straight red at 'Uddersfield. Our game is his last suspended game - unless they've changed the rules. Wasn't it a one game ban? Yeah. Professional foul is a 1 match ban. They've changed the rules then. A fair summary, but if we win there will be a fair bit of ""Ssssssilva" what's the score?" and "You're getting sacked in the morning". She came on against us on Wednesday and invigorated them I believe,with her poor driving. Is there guidance on Richarlison pre match behaviour. I feel like I want to give him a polite clap but is suspect he will celebrate with much gusto if he scores so maybe I should get a boo in first as a countermeasure? HappyHornet24, EB Hornet, Supertommymooney and 1 other person like this. If we don't beat this mob and their **** of a manager by at least 4 goles, Gracia can **** right off and take Gino with him. I booed him when he played for us. I’m certainly not going to stop now that he doesn’t. In all seriousness, we should give him hell on Saturday...if only for the fact that we know he sulks etc There’s a good chance he’d get upset and disappear out of the game. HappyHornet24, wfcmoog and Bloke like this. No, I thought he was but he only had a one match ban. Yeah, give him **** because he's playing for the opposition. Everton's poor run of form - which they've been on since about 1988 - has to end some time. Not this weekend though. Moose, EB Hornet and RookeryDad like this. Beekayess, EB Hornet, Bloke and 5 others like this. **** Richarlison. He's chosen his side. **** him, **** his stupid name and **** his tiny nips. Give him dog's. Chumlax, Jack5, Ágætis Byrjun and 3 others like this. 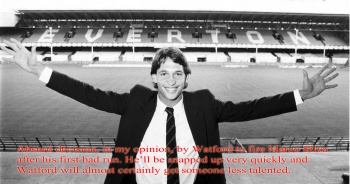 The only interest I now have with Richarlison is what he'll do when Marco "Ssssssilva" inevitably gets sacked. Will he throw a tantrum, play terribly or will he come to the realisation that "Ssssssilva"'s only trait was grooming young Brazilians? Glenhorn and Forzainglese like this. They're finding out about Richarlison now. How he can't stay on his feet for more than 30 seconds at a time and drops like a stone the moment an opposition player gets within a foot of him. The constant fruitless whinging and appealing. How he fades away as the season goes on. How both his head and his effort levels drop when things aren't going his way in a game. And of course, they're sure to have found out by now, to their disgust and horror, about his freak-show, teeny-weeny miniscule areolæ. Ghost of Barry Endean and RookeryDad like this.